The Botswana Government has again rejected the Freedom of Information (FOI) Bill to preserve the secrets and security of the nation. The Bill, which was recently tabled by Gaborone Central legislator Dumelang Saleshando, was rejected by Parliament led by Members of Parliament (MPs) of the ruling Botswana Democratic Party (BDP). “We have secrets that we intend to keep,” the Minister of Presidential Affairs and Public Administration, Mokgweetsi Masisi, was quoted as saying. The Bill was first rejected by Government in 2012 at which time the government’s objections were listed in a 46-point document by Jeff Ramsay, the Deputy Permanent Secretary for Government Communications Office of the President. According to FreedomInfo.org, Ramsay’s concluding two points state: “45. In conclusion, in its current form, the proposed legislation is characterised by unrealistic timelines and cumbersome mandates. It further fails to categorically exempt sensitive and privileged information from disclosure, while failing to uphold the right to privacy. In this respect the language of the Bill is at variance with established legislation found elsewhere and is certainly not in conformity with genuine international best practice models, such as those found elsewhere in the Commonwealth or European Union. 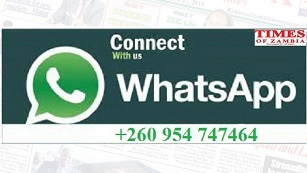 However, according to Botswana Gazette of May 14, 2015, Media Institute of Southern Africa (MISA) Botswana Chapter National Director, Buyani Zongwani said that Parliament of Botswana made a huge mistake by rejecting the Freedom of Information Bill because democracy would never triumph where people could not t access information easily. “Freedom of information is vital in a modern society like ours, so that information is made available to people; not only journalists but everyone who seeks information, whether in a government or private department,” Zongwani said during a MISA workshop held in Francistown recently.